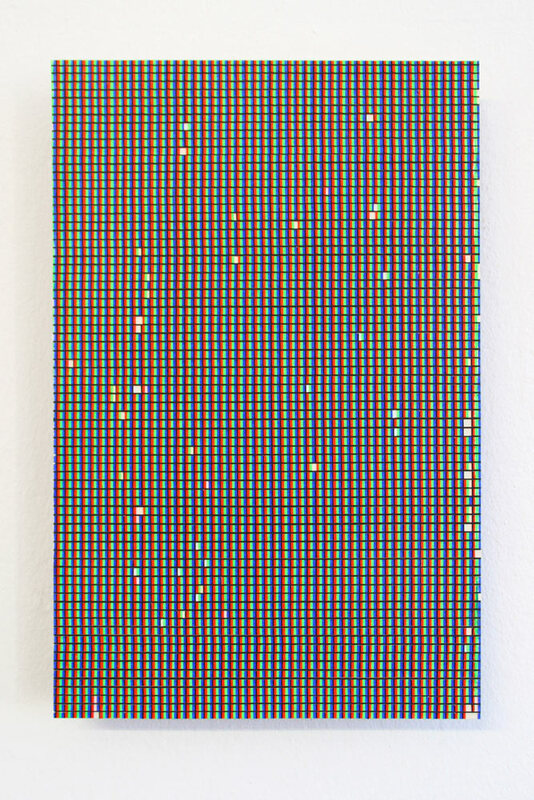 This painting has a dual reading, on one hand, is a representation of a screen and an attempt to reach white color using the primary colors of light color theory (red, green, blue). The method to do it was to paint three images on paper in the three different colors, then to cut, to mix and to glue them. 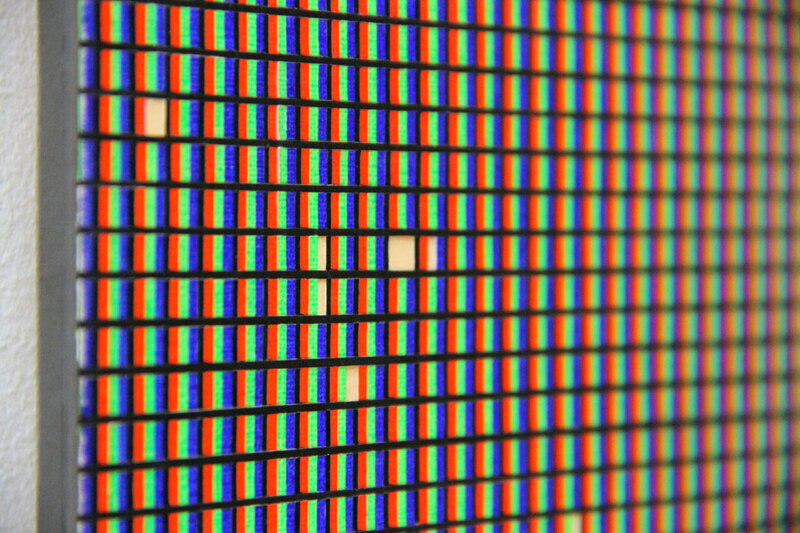 It was cut and glued a second time in order to represent screen pixels. In the second step, some squares fall down, as the loss of information during the process of transmission of information by the Internet. On the other hand, this painting is made for the purpose to study a “white” surface, in order to subsequently paint the portrait of my wife. The result of this work is really similar to a numeric code of a PNG image.